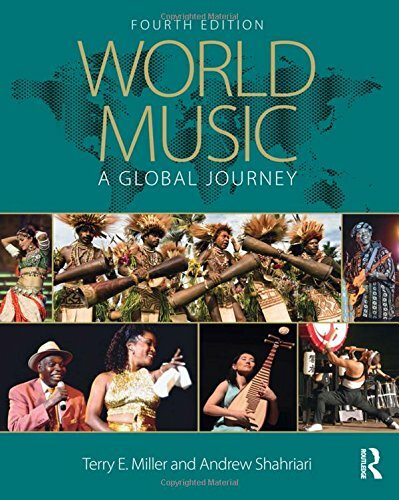 World Music: A Global Journey, Fourth Edition takes students around the world to experience the diversity of musical expression and cultural traditions. It is known for its breadth in surveying the world’s major cultures in a systematic study of world music within a strong pedagogical framework. As one would prepare for any journey, each chapter starts with background preparation, reviewing the historical, cultural, and musical overview of the region. Visits to multiple “sites” within a region provide in-depth studies of varied musical traditions. Music analysis begins with an experiential “first impression” of the music, followed by an “aural analysis” of the sound and prominent musical elements. Finally, students are invited to consider the cultural connections that give the music its meaning and life. The dynamic companion website hosts interactive listening guidesplus many student and instructor resources. A set of three CDs is available, with over three hours of diverse music examples necessary to the study.